WHILE a whopping 97 per cent of Singapore job-seekers polled said they would consider leaving Singapore to work overseas, small and medium-sized enterprises (SMEs) sometimes face an uphill task convincing staff to relocate overseas. According to a poll conducted by recruiting firm Hays, 85 per cent of job-seekers said they would leave for better job opportunities, career development or exposure, while 12 per cent said they would leave for lifestyle factors. 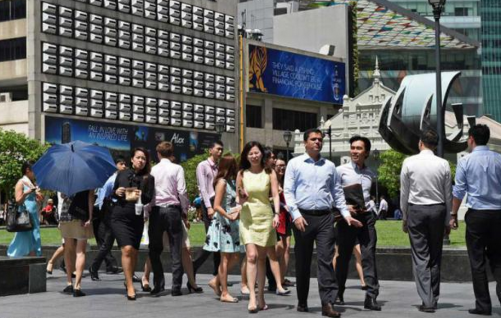 Just 3 per cent would not consider leaving Singapore to work overseas. This makes Singapore's workforce the most globally-mobile workforce in Asia, according to the poll of 2,553 job-seekers across Hays's network in Singapore, Malaysia, Hong Kong, China, and Japan. Yet, some SMEs continue to face problems deploying staff overseas. In DP Info's 2014 SME Development Survey, for instance, 23 per cent of SMEs cited the lack of manpower to drive overseas sales as one of the key challenges they faced overseas in 2014 as compared to 7 per cent in 2013. "We saw an increase in SMEs going overseas, from 46 per cent in 2013 to 50 per cent in 2014. Most SMEs also recognise the importance of overseas revenue and the need to send staff overseas to drive this. Based on that premise, SMEs are likely to face difficulty in moving their resources overseas," said Lincoln Teo, chief operating officer of DP Information Group. The problem is largely one of the mindset of employees looking to work at SMEs. "Employees who get jobs at multinational companies tend to be more prepared to go overseas, so they are a different profile compared to those who work for SMEs," said Irene Boey, chairwoman of the SME Centre @ ASME. The duration of the overseas stint is another key factor affecting staff openness to relocation. "If it's a short stint, it is good for exposure. But let's say you are going there for a few months or a few years to help the company set up a branch in China. The staff will worry if they still have a job in Singapore when they come back." It is hence important that companies make it clear from the outset if they require the staff to travel for work, and to have clear human resource policies regarding overseas pay packages. IE Singapore's Young Talent Programme is one of the ways in which IE Singapore is looking to match firms with undergraduates whom they feel they can groom for international roles. The Young Talent Programme comprises two components - a market immersion opportunity through overseas exchanges and internships or a mid-term IE-Industry scholarship. The YTP Market Immersion will be extended to students from polytechnics and institutes of technical education from the third quarter of 2015. Elsewhere in Asia, China had the second most globally-mobile workforce according to Hays, with 96 per cent of jobseekers willing to consider leaving China to work overseas (85 per cent for better job opportunities, career development or exposure, and 11 per cent for lifestyle factors). Hong Kong rounded up the top three economies with the most globally-mobile workforce, at 94 per cent. "The opportunity to gain highly valued international experience is the number one factor driving local talent overseas," said Christine Wright, managing director of Hays in Asia. "These candidates want to gain a job overseas because employers increasingly value local talent with international experience and an international mindset. These candidates are even more highly valued than expatriates since they combine their Westernised way of thinking and experience of how business is done overseas with local cultural understanding."